”City breaks don’t tend to be romantic”- they say -”Unless you go to Paris or somewhere like that”. This is not true! Every city is romantic, if you make it romantic. Sure visiting Juliet’s balcony in Verona, or putting lockers on Paris bridges may be some sort of a romantic standard, but what you will most likely find there, is a bunch of tourists taking selfies. Being romantic is beyond the google images you find when you type in ”Paris”. It is actually what you make of it yourself. So, in order to expand your minds a bit, I will take you in to my form of thoughts and inspiration. If you are completely out of ideas, then after reading this article please for god sakes, delete it from your history. The last thing you want is your boyfriend or girlfriend finding out you googled. Romance is not just for women, I actually tend to be very romantic with my partner. I go so cheesy, there should be a cheese named after me ”Cheesella” , sounds good? Who says only women like romance, you would be surprised how many man suffer in silence because they are ashamed to admit it. I have done some research on really cool people that will actually organise the most memorable romantic things ever for you guys. 1. 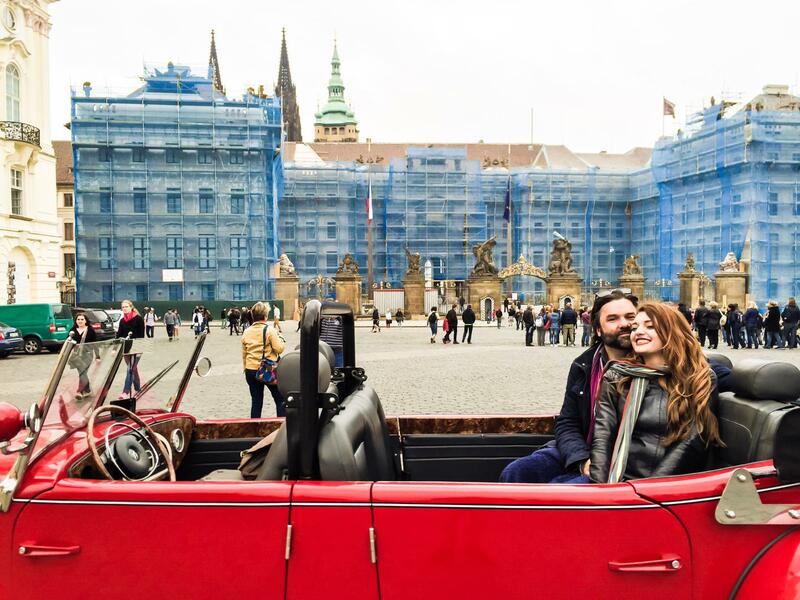 Romantic Historic sightseeing in an Oldtimer Mercedes. First off it was getting transfer from the airport, and what guy doesn’t like a car? I googled a bit and finally found what I thought was the best option. An old Mercedes from 1928. I explained to the owner what was going on and asked him to compromise by picking us from the airport. We were picked up from the airport by the Driver and were taken to the car. Charles was very surprised as he expected it to be a yellow cab. When he saw this amazing car he was just smiling from ear to ear. Can’t go wrong with a Mercedes! I booked a 60 minute sightseeing tour from the airport to our hotel and it cost me only £45 !! On the way the driver was showing us architecture and monuments and explaining a bit about the Prague History. We shortly stopped in front of the castle where he took a picture of us. Unfortunately the castle was wrapped up for renovation so the photo is a bit pointless. The ride was sublime, weather was good and we were provided with a blanket just in case it gets colder. I really loved every second of it. 2. 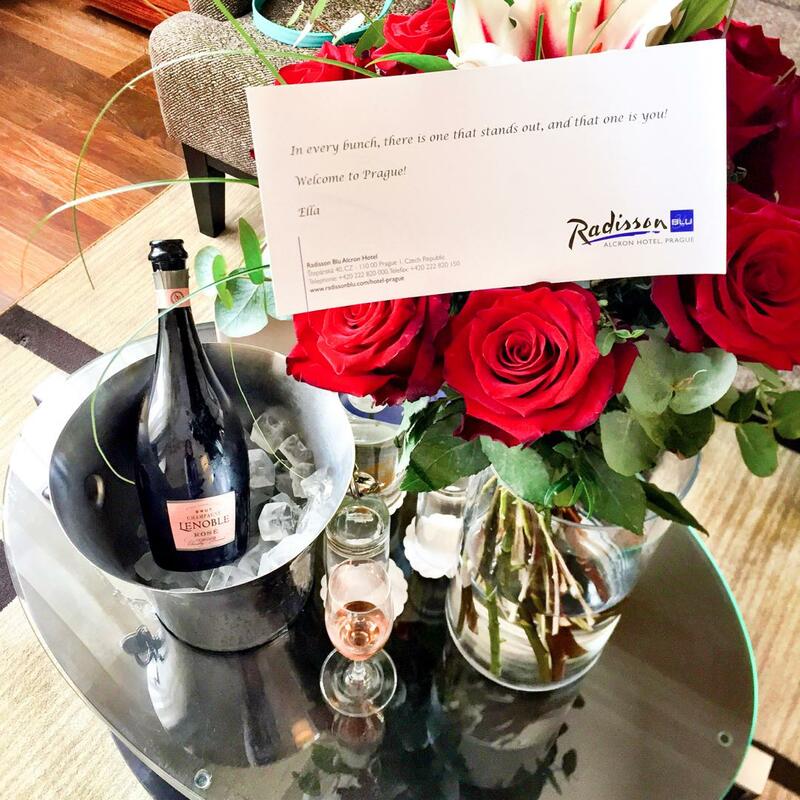 Roses are red, Radisson is Blu, if you are doing this for your man, then it’s a perfect choice for you! 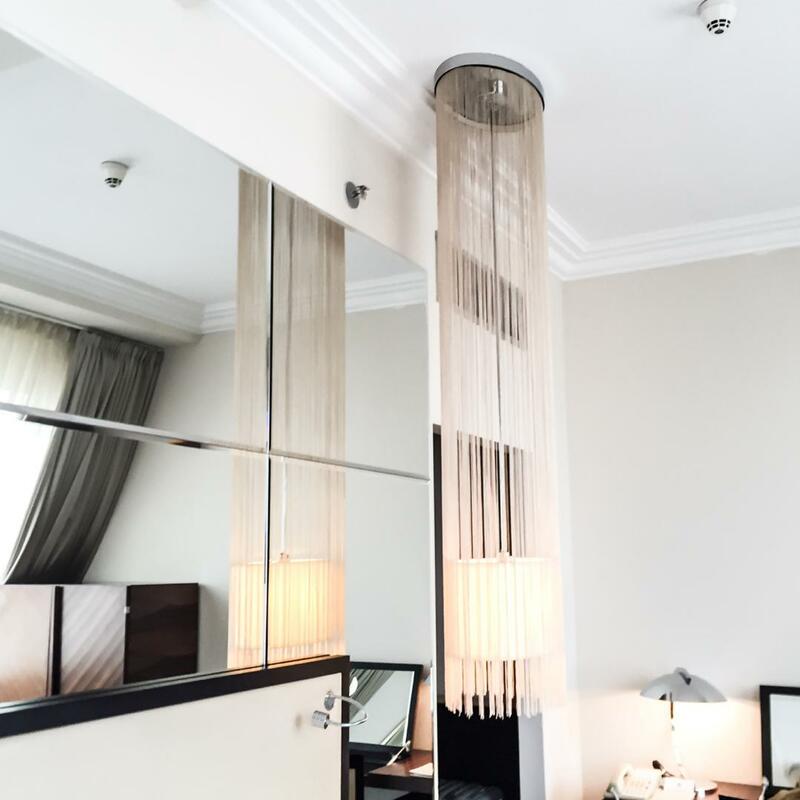 When it came to choosing hotels, I wanted the best standard, in city centre with nice rooms and obviously good reputation. Also it was important for me that it is also business oriented because Charles works a lot even when he is away and good Wi-Fi is very important. 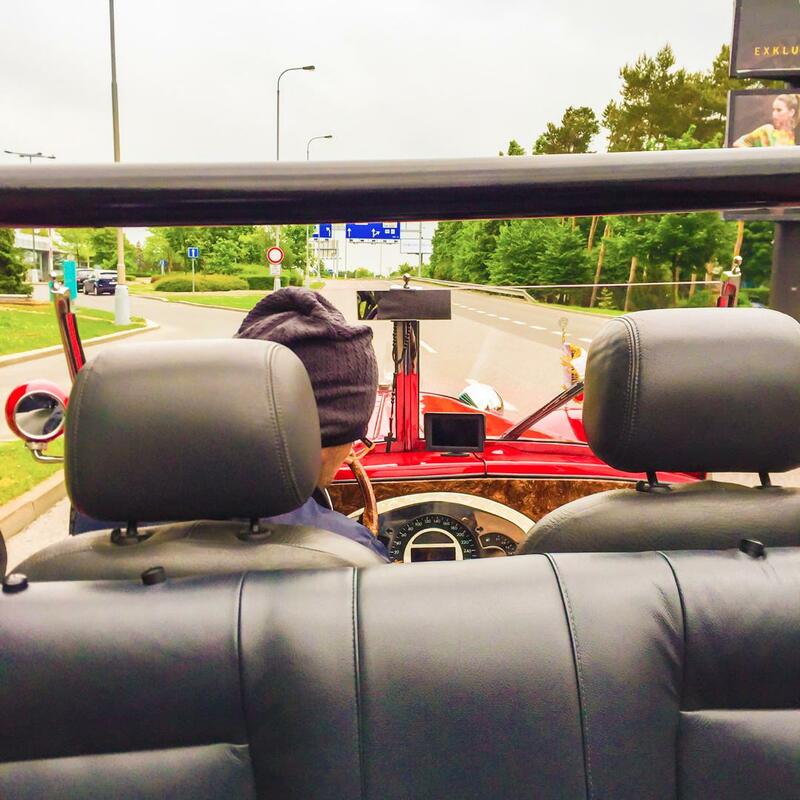 The car drove in front of the hotel and Charlie looked over –‘’Wow babe! Radisson Blu!! you have gone all out’’-I know how men are and I know how Charlie is. He does not want to admit it, but he is a ‘’hotel whore’’, he loves nice hotels and having stayed in Radisson Blu before I have decided to pick their Alcron hotel. I emailed their manager so they could help me with organisation. I wanted some flowers delivered as well as a bottle of champagne for Charles when he comes to the room. We were warmly greeted by their staff and the concierge took our bags. Dominic (who didn’t want to be filmed) checked us in and their Customer relationship manager has taken us to the room. 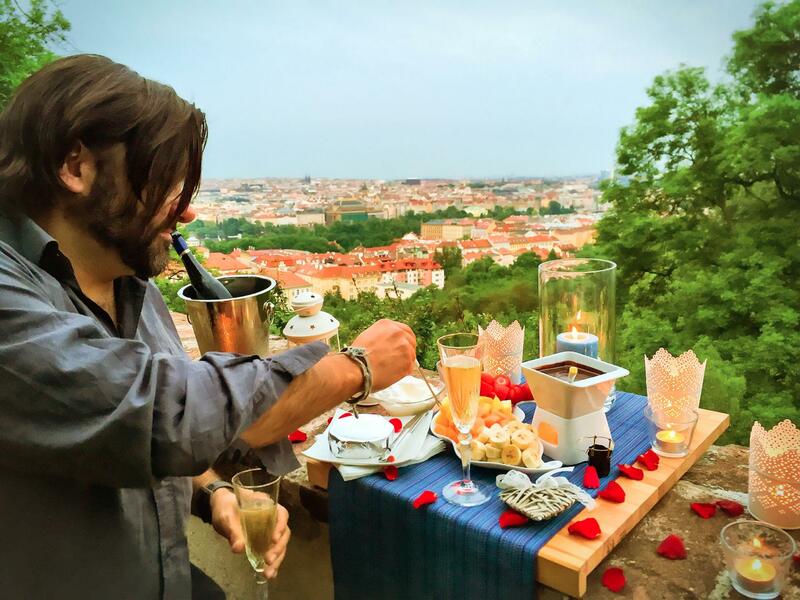 Because they all knew about my romantic surprise and wanted us to feel special they upgraded us to the suite overlooking the castle! The room is amazing. All styled in Art deco , big mirrors, windows an amazing bathroom just on top , 8th floor. They showed us around the room and gave us the keys. Charlie didn’t even notice the flowers because first thing he does always is check the room, so I had to point them out. Men are not observant at all! We popped the champagne (which I spilled on the floor, and cleaned up immediately) and had a few glasses. We chilled on the king sized bed just before I needed to take him out for another surprise. I know! I am awesome! More details and pictures here. 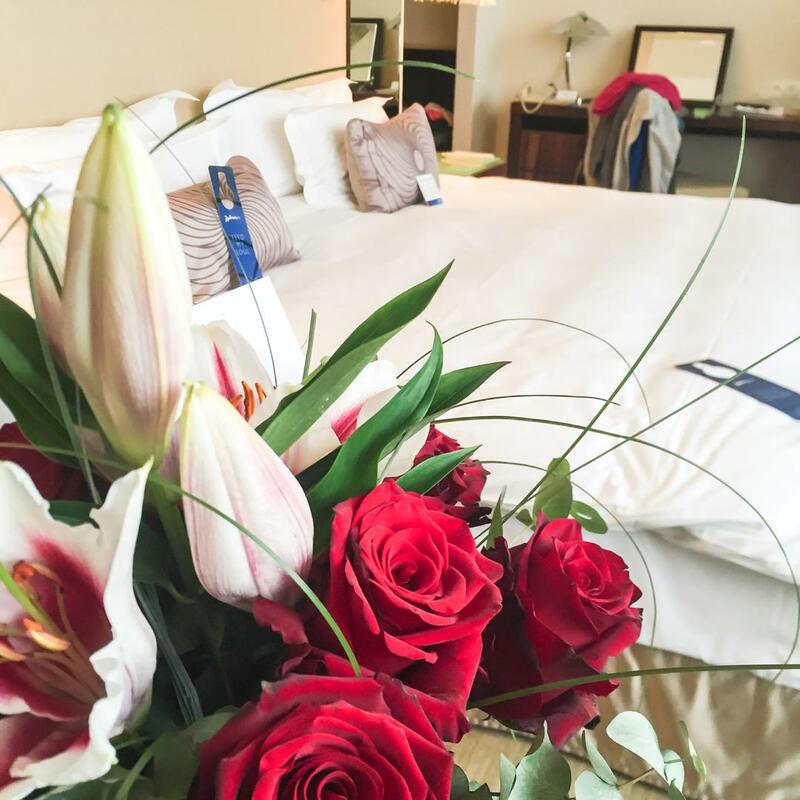 3.Roses are red , Radisson is Blu, for a little romance book PragueforTwo! 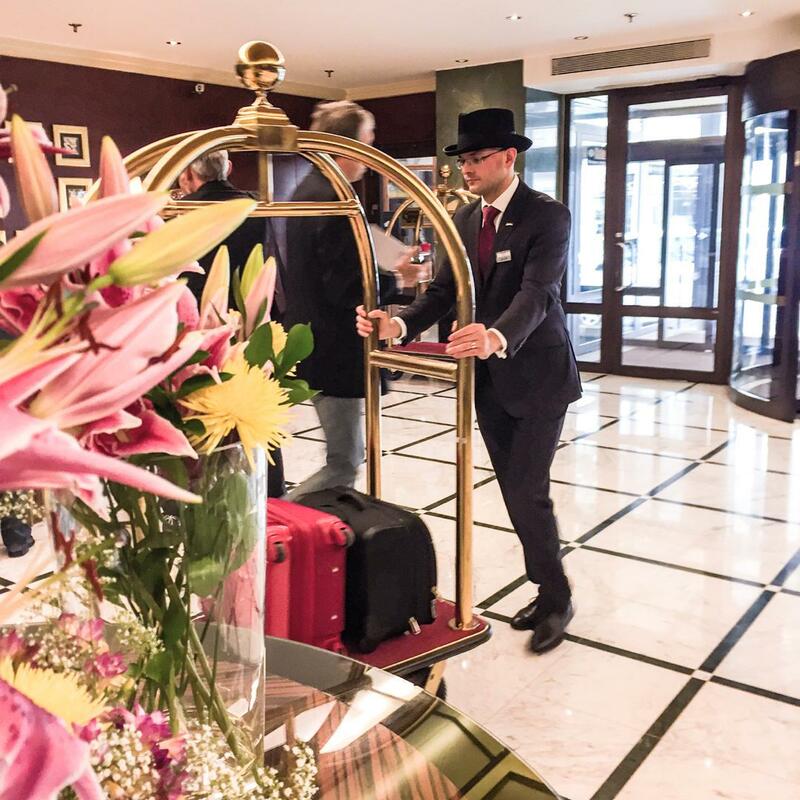 The manager in The Radisson literally fed us Prosecco when we came down to the lobby – ‘’’some prosecco for you sir?’’ – He asked Charlie, and as all English men go, they cannot refuse anything with alcohol. 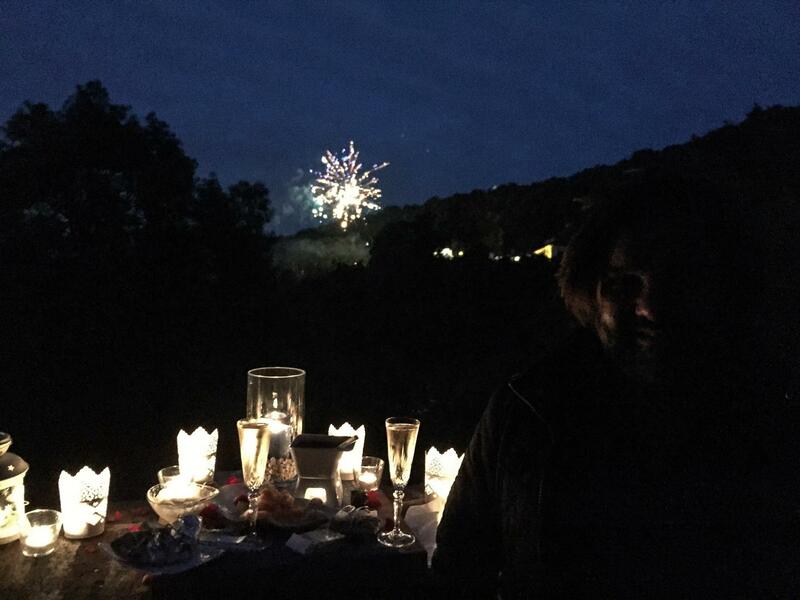 –‘’ Well , yes, thank you for supporting my bad habits’’ – the manager laughed and poured us some prosecco –‘’You only live once’’- he added. He was so happy to see what was going on that I think he wanted to be a part of our love triangle. We left the hotel a little woozy, if nothing because we only slept 2 hours prior to Prague. I took Charlie for a little walk around. What I had in store for him next, actually impressed me as well. We left the hotel a bit too early so we took a sit on the Vltava River and had a glass of wine, while I waited for the clock to hit 20:30pm as instructed by Genius Ilya from PragueforTwo. Charlie knew he was going in to the park but I made sure he thinks we were going to some sort of party. Because he was so happy about all the little surprises I did for him, he didn’t want to complain although I saw that he was tired. Time was passing soooo slooow, like the slowest ever!!! Finally at 20:15 we drove up the cable car to the park. ‘’Where are we going? Are you taking me to some twisted drunken party in the park?’’ – He kept asking. I just stayed quiet to add the tension. Just behind the opening in the wall we turned right and walked down the path. I walked in front of him so that I could film his face, and there it was … the perfect set up! I was amazed and Charles was so surprised, he really loved it –‘’I must say Ella, and don’t get angry, but …this is what I do for you, not for you do for me!’’ – he said. –‘’However it is very thoughtful and I love it’’. 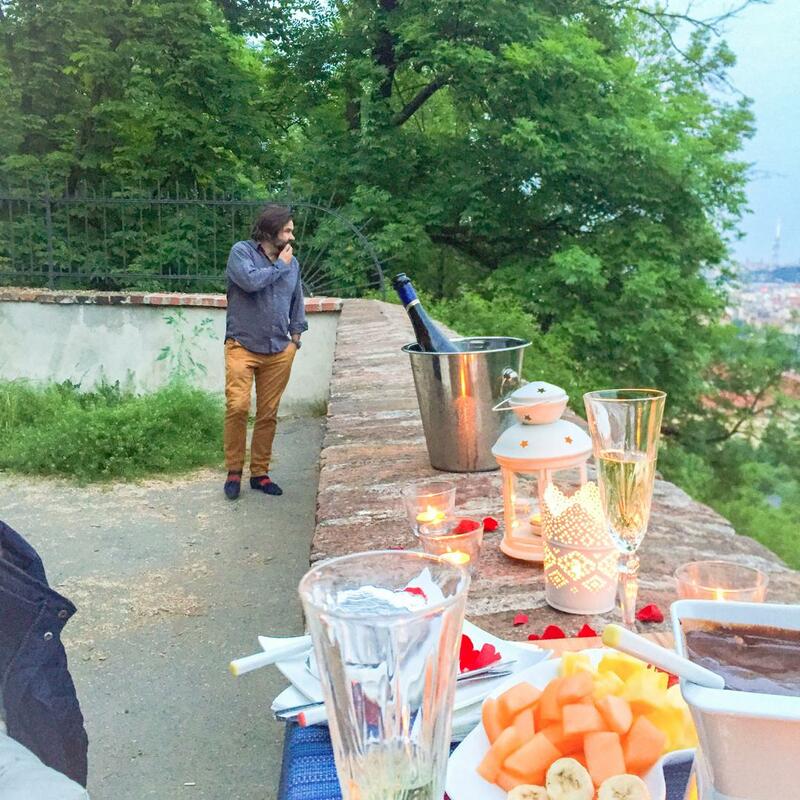 Ilya organises this for couples like us, and for only 150 Euros, you get chocolate fondant, fruits, beautiful decoration, location, blanket and a bottle of Champagne. For that price it is more than worth it to do this. 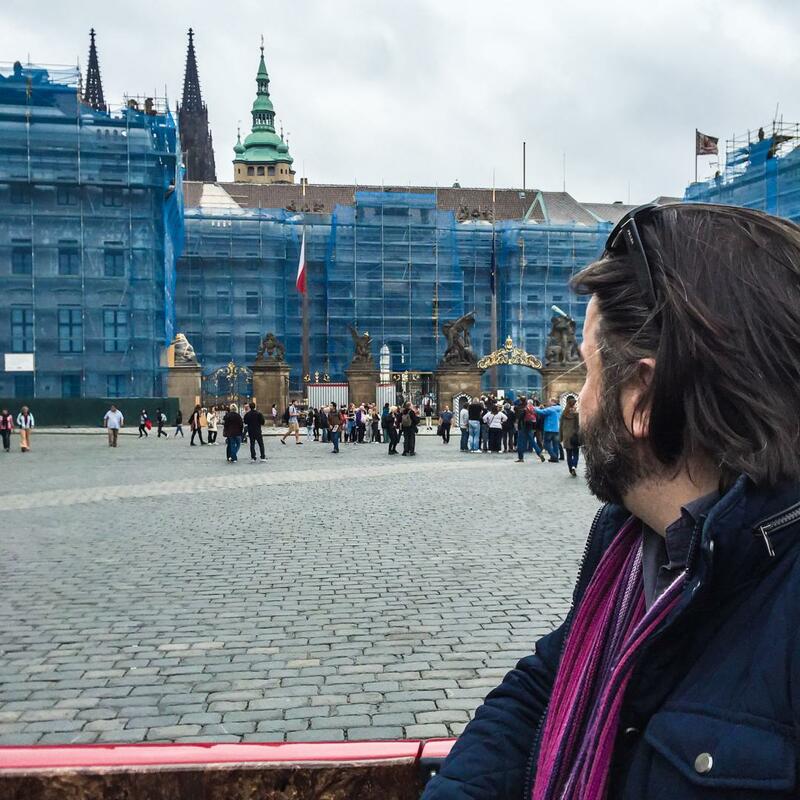 You can read more about Prague for two on my special post dedicated just to that. 4. Choosing right makes things better. We left after two hours and took a cab back to the hotel. Once we entered the room there was another surprise for us. Guess what? The manager sent us a chocolate dessert with their own branded Alcron Prosecco. I am being deadly serious now, Charlie said that out of all hotels he ever stayed in these guys were the most attentive, grounded people he has ever seen in any staff. 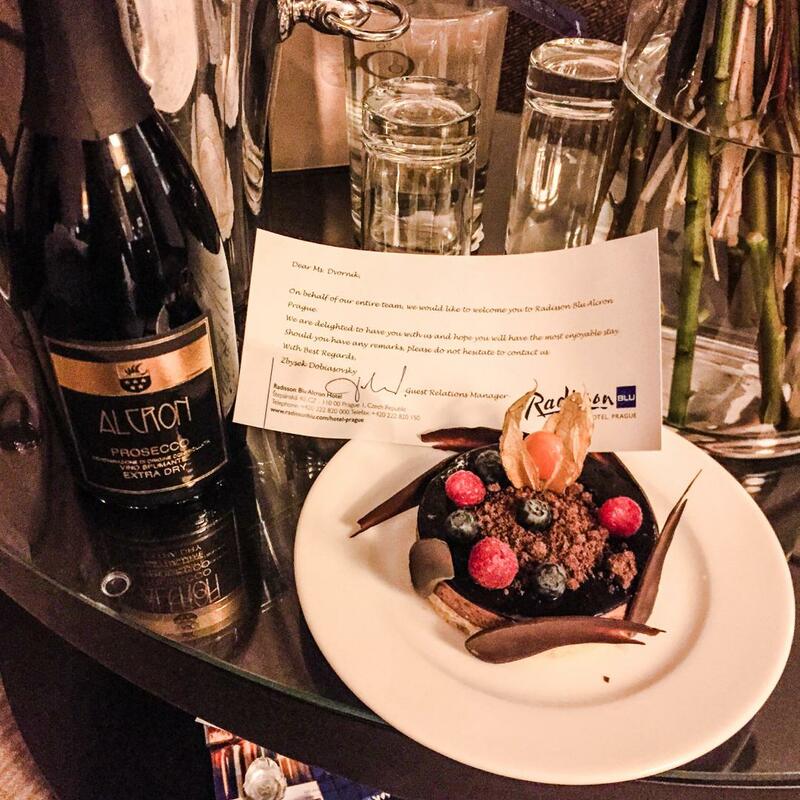 This helped to make my surprises even better, because choosing the right hotel is really important as that is where you are staying and spending time. More photos and details about everything we did there I have put in a separate post because it deserved a separate post as there is so much to do. Including their fine dining Michelin starred restaurant Alcron and amazing Bebop bar with breath-taking cocktails. This was just a short overview of our first day experience. 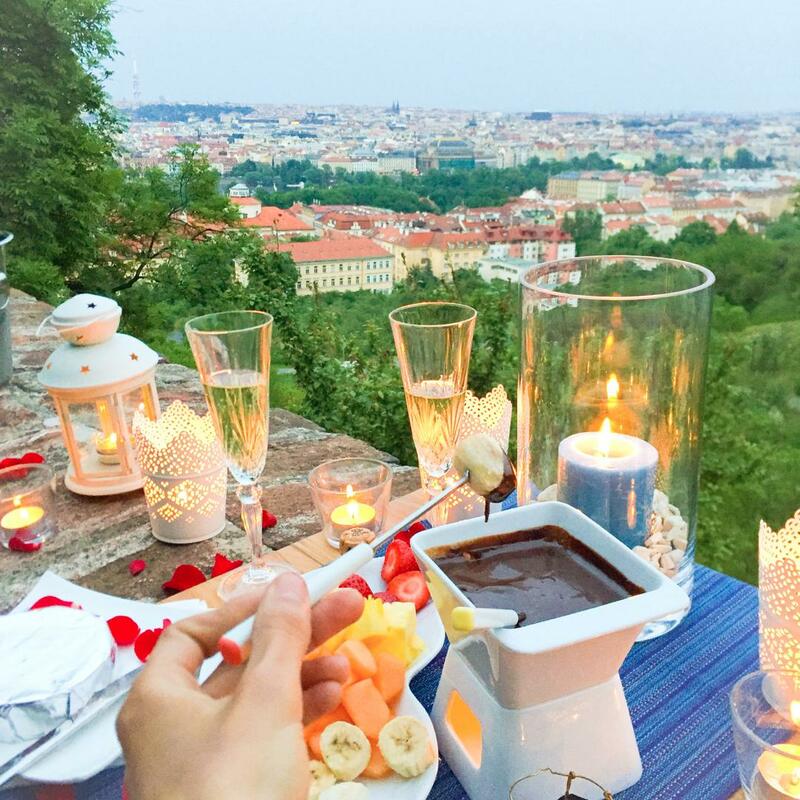 If you are interested in organising a romantic dinner in a park from Prague for two, please follow this link, as there is a more detailed post with videos and photos from that awesome experience.